New West Metals Inc. Offers a complete range of Nickel Alloys for today's ever evolving Metals Industry. Below you will find an overview of the vast product lines that are available from your "One Stop Shopping Center" New West Metals Inc.
Nickel is widely used as an alloy with other metals. 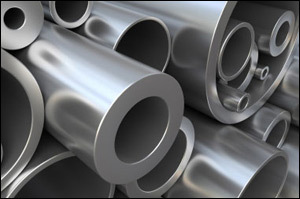 Nickel and Nickel Alloys are used in applications which involve corrosion resistance or heat resistance.